In recent years, about 20 million people dealt with some sort of substance abuse problem. These numbers are reportedly on the rise, and large numbers of people are having to go through recovery. When you are trying to recover from addiction, the detox stage is one of the most important pieces of the puzzle. When you detox, it’s important to get help from professionals, rather than detoxing at home. Consider these points to learn about the dangers of detoxing at home. If you know you need help, get it from professionals as soon as you’re ready to detox. These points will show you why detoxing at home is definitely not in your best interest. Substance addiction is usually more about past trauma and pain, rather than simply just loving the substance itself. Things we experience in our environment every day create stress and trigger this trauma, which can lead to relying on the substance. When you’re sticking around your same daily environment, seeing and experiencing the same things every day, you are far more likely to have a relapse. What’s more, you are still able to interact with people that might enable your habit. This is why it is so crucial to create a separation from your normal environment as you get help. Going through detox can be excruciating. Going through it alone makes it 10 times worse. Some withdrawal symptoms you will usually experience include aches and pains, diarrhea, fever and sweating, vomiting, insomnia, and heart palpitations. The pain and fear of going through this without any supervision or compassion can drive you to relapse or hurt yourself. It’s not safe or advisable to go through these withdrawals alone. Having a medical professional by your side during detox allows you to rest and get better. Your doctor will routinely check your blood pressure and temperature, and give you what you need to soothe the symptoms. Since your doctor will be monitoring you the entire time, they can also usher you into each stage of detox and recovery. This lets you know that you are safe and gives you peace of mind as you get the substance out of your system. Medical professionals will help you learn more about the entire process, including which medications work best for withdrawals. When you get professional help with detox, you get to cut your brain off and allow people to help you. Some detox facilities even offer meditation, which is a wonderful tool to help you clear the mental clutter as well. If you are staying in your own home, it means you have to deal with things like figuring out what’s for dinner, taking out the trash, tackling bills, and other little details that create decision fatigue. The last thing you want is added stressors when going through detox. When you submit to the care of a medical professional, every part of detox is laid out for you, and all you need to do is follow instructions. Aside from doing what’s best for you, it’s important to realize that detoxing at home is bad for your relatives or roommates also. When you’re detoxing, it’s normal to go through extreme mood swings, depression, and anxiety. 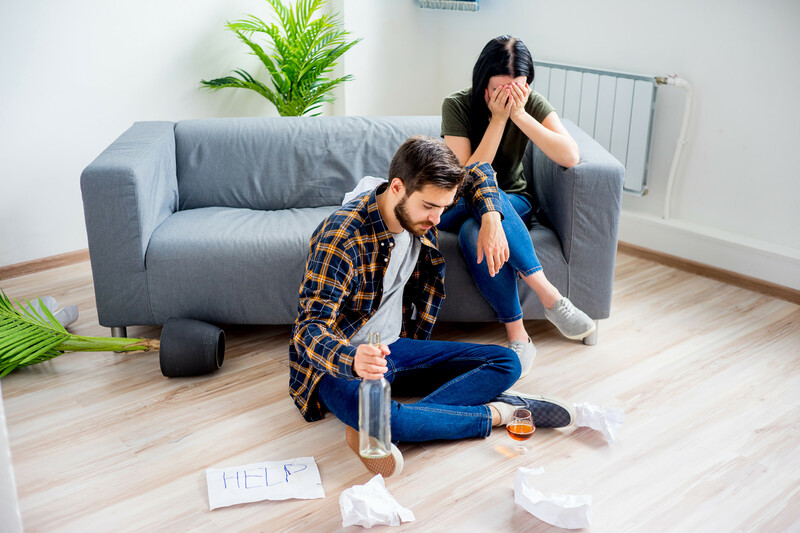 Subjecting them to these changes will also cause the people that you live with undue stress, and can be avoided when you get professional detox instead. A medical emergency is also very possible when you are going through detox alone. The last thing you want is to be unresponsive in your home, with no one around to call 9-1-1. When you get professional detox, you are also receiving professional monitoring around the clock. As soon as something goes wrong, you will have access to medical care that will keep the emergency situation under control. Detox, as with many things in life, doesn’t always happen on the timeframe we want it to. You might be able to get the substance out of your system in a few hours, or it could take more than a week. Since you can’t control this timeframe, you will need to make sure you’re getting help. It can be easy to give up and lose your will if you’re expecting to be clean in a day but are on day 5 going through detox alone. Finally, getting professional detox also creates a smooth transition into addiction recovery counseling and any other services that you need. In many cases, substance abuse recovery retreats can handle the entire process. Part of recovery includes strengthening your mind-body connection so that you are able to recover from trauma and move forward with your life. These retreats offer counseling, yoga, meditation, and quality nutrition to help strengthen this connection and give you the foundation for moving past addiction. As you can see, detoxing at home can be downright dangerous. Let these tips steer you toward the help of some professionals that can help you detox with the supervision that you need. For more personal and professional advice to add to your toolkit, check back for our content.